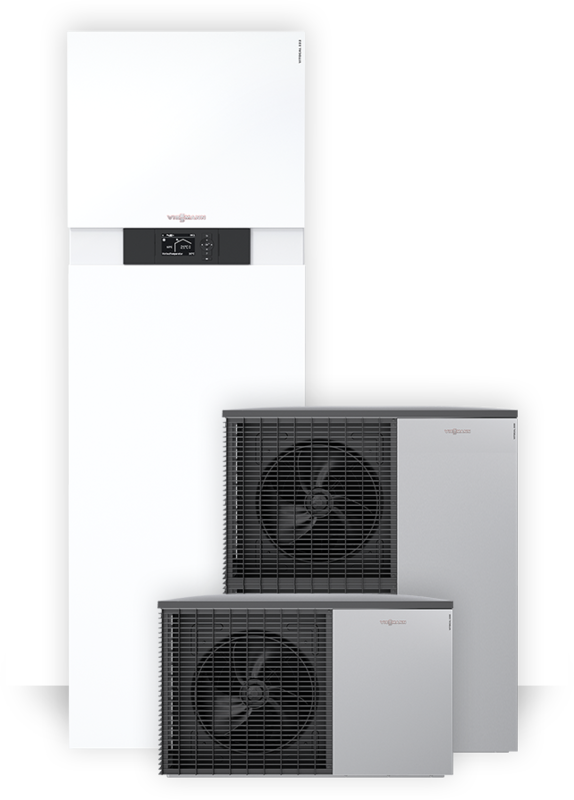 Viessmann heat pumps offer their users an additional benefit – many of them feature active and natural cooling functions. Alongside their classic application as heat generators on cold days, they can also create a pleasant interior in summer by bringing refreshing cool air into the house. 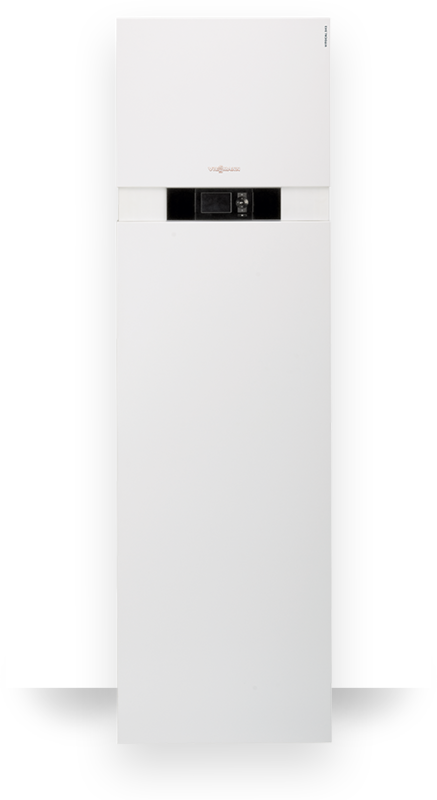 The Vitocal 300-G Pro is a large heat pump for larger apartment buildings as well as commercial and municipal applications, with five output ratings to enable most requirements to be reliably met up to 1200 kW. 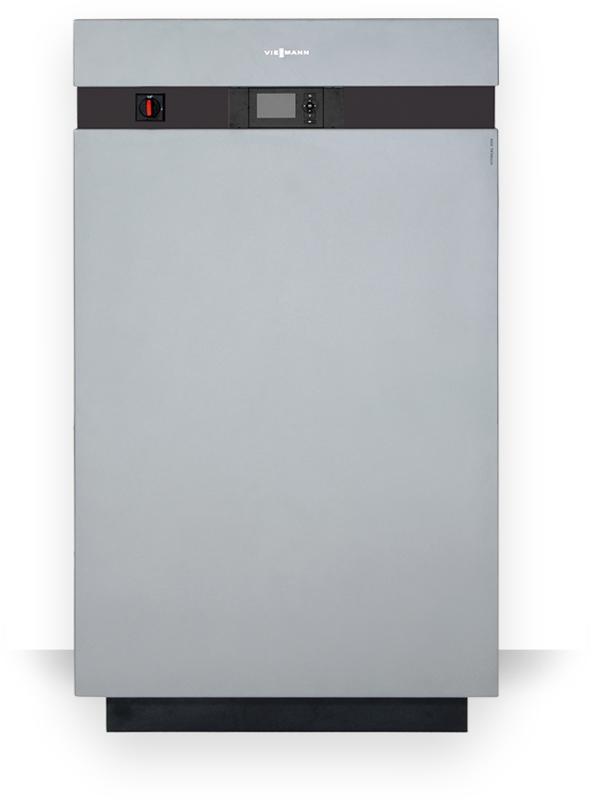 Vitocal 350-­G Pro is a large heat pump that achieves high flow temperatures of up to 73°C, meeting the requirements of hygiene regulations for DHW heating. Also features advanced technology for efficient cooling. Heat pumps work like a refrigerator, just in reverse. While a refrigerator directs heat to the outside, heat pumps take energy from the air or the ground and transfer it into the living space via the heating system. 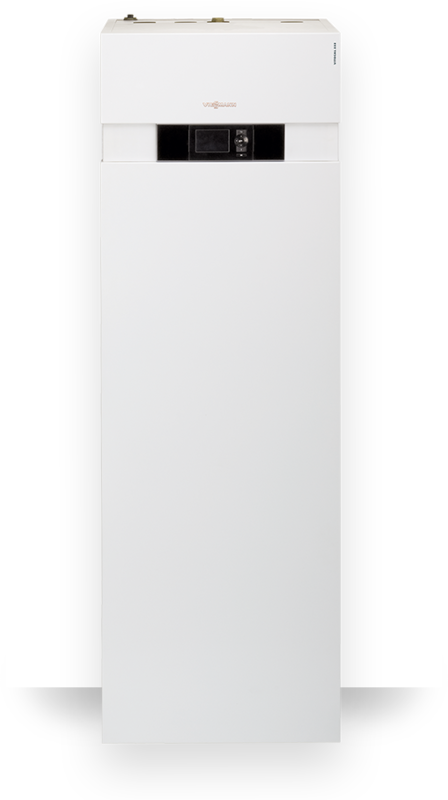 The transfer medium carrying the heat drawn from the environment is compressed in order to reach the flow temperatures necessary for different heating systems. 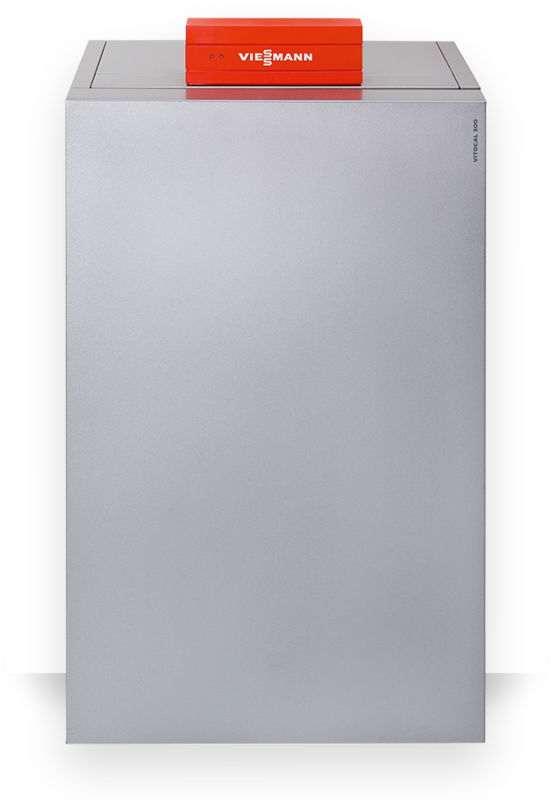 For example, a heating system with radiators requires temperatures of up to 70 °C. Underfloor heating systems, however, manage with a flow temperature of 30 °C. This makes heat pumps suitable for both modernisation and new build projects. The advanced components in our cutting-edge German-built heat pumps mean that their operation is characterised by quiet running, low vibrations and an extremely long service life without the need for maintenance. 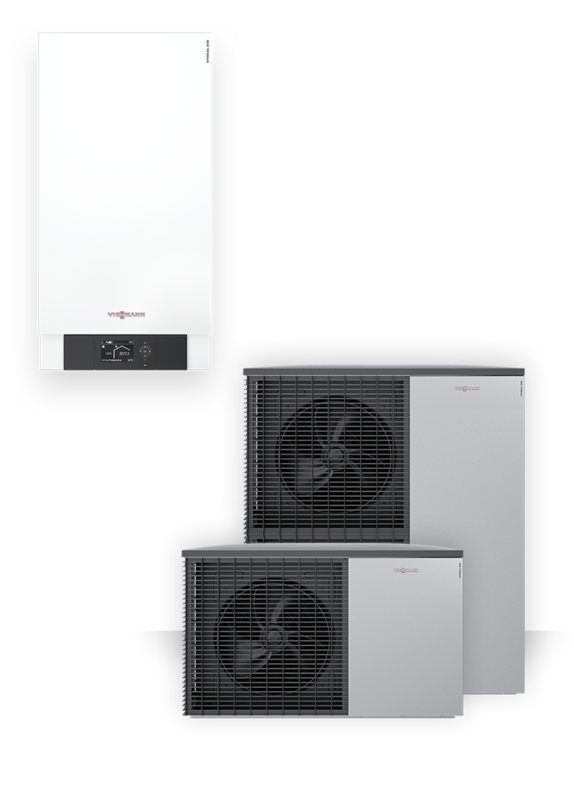 Viessmann's cutting-edge range of heat pumps offers the right heat pump to suit every demand. Even at the design stage, structural and geological conditions, as well as personal and individual preferences concerning the heat demand can be taken into account. Running a heat pump with power generated on site by a photovoltaic system is particularly environmentally responsible and very affordable. 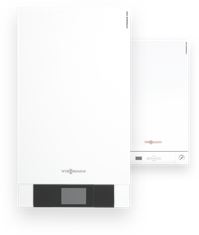 Viessmann heat pumps are ideal for use in both new build and modernisation projects, operated together with solar thermal systems and even combined with an existing oil or gas heating system to form a multi mode system. This allows every building and property owner to put their plans into action in the most efficient way possible. Our heat pumps are designed with smart homes in mind. The optional ViCare app offers you a convenient way to operate your heating system and save energy – anytime, anywhere. It allows you to keep an eye on the system status at all times. 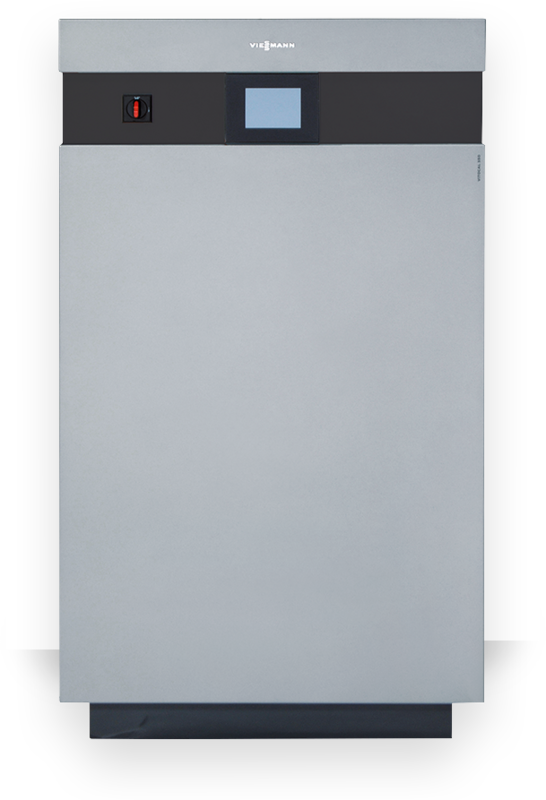 You can set the required room temperature with a single swipe; one tap of the screen allows you to select a daily template and save energy automatically.